Anxiety Counselling Melbourne, The number of people suffering from anxiety is constantly increasing due to work and family stresses in todays modern world. In contemporary competitive environment where you have to constantly work on improving your relationships, your personal life and your professional life, it is important to find a way to effectively deal with anxiety. Otherwise, anxiety can make you imagine things that are worse than reality and acting upon anxious feelings could stop you from growing personally and professionally. Anxiety counselling Melbourne is a program designed for people suffering from anxiety, so that they can take help from professional therapists and counselors to manage their anxiety and effectively deal with personal, social and professional situations. Our body has a natural fight or flight response which is activated when we are in difficult situations but if you suffer from anxiety your response can be activated at moments when it’s not needed. This can cause you to be distant from your friends, family and stop your progression professionally as well. In order to deal with anxiety it is important to identify the root cause of the problem by discussing it with professionals. Using The Richards Trauma Process (TRTP™) we get to where the anxiety started and resolve it quickly and effectively. You might find it difficult asking for professional help. However, there is no shame in seeking professional help for protecting your mental health and for overcoming problems that are preventing you from living a full life. So, if you are suffering from anxiety, please do contact anxiety counselling Melbourne center so that you can find effective ways to manage your problem. 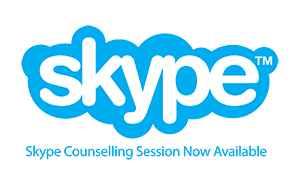 Please use the online contact form below to get in touch with us regarding booking enquiries for Anxiety Counselling in Melbourne.